Daily Dispatch Pty Ltd reserves the right to refuse registration and attendance of any individual. Full registrations and payment must be made before registration can be confirmed. 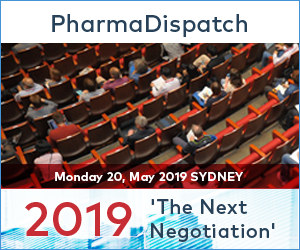 Substitutions are permitted only with the prior agreement of Daily Dispatch Pty Ltd.
Delegates are not permitted to share a registration – one registration per delegate. Cancellations of registration must be by letter or email. If a cancellation notice is received 0 to 30 days before the event, a refund will be processed less 50 per cent of delegate fee. Daily Dispatch Pty Ltd reserves the right to make alterations to the arrangements of the event as published, either before or during the event. In the unlikely event of the event being cancelled by Daily Dispatch Pty Ltd, a full refund will be made. Liability will be limited to the registration fee paid by the delegate. In the event of it being found necessary, for whatever reason, that the event is being postponed or the dates being changed, Daily Dispatch Pty Ltd shall not be liable for expenditure, damage or loss incurred by the delegate. Views expressed by the speakers are their own. Daily Dispatch Pty Ltd cannot accept liability for advice given, or views expressed, by any speaker at the event or any material provided to delegates. In the event a delegate is unable to attend the event for any reason, Daily Dispatch Pty Ltd is not responsible for any costs incurred by the delegate. It is the responsibility of the delegate to arrange appropriate insurance cover in connection with their attendance at the event. Daily Dispatch Pty Ltd does not accept responsibility for any costs, charges or fines incurred by delegates in the process of attending the conference. For promotional purposes, there may be video production taking place during the event. A photographer appointed by Daily Dispatch Pty Ltd may also be taking photographs. Delegates who do not wish to be filmed or photographed should advise the photographer or camera person at the event. Photographs taken at the event may be used on websites operated by Daily Dispatch Pty Ltd.
DANA may use the speaker’s name and presentation materials promoting delegate attendance at the conference. Daily Dispatch Pty Ltd accepts no liability to any persons or body for any loss, injury or damage howsoever and whether directly from any action or cause whatsoever undertaken, organised or sponsored by Daily Dispatch Pty Ltd.